The US Navy’s nuclear-powered aircraft carriers, toting dozens of fighter jets around the world, will soon lose their ability to project power if the US cannot produce systems to defend against hypersonic weapons like the ones being developed by China and Russia, a senior Pentagon official said March 7. According to the Washington Examiner, Undersecretary of Defense for Research Michael Griffin gave a speech at the McAleese-Credit Suisse Defense Conference in which he said, "when the Chinese can deploy tactical or regional hypersonic systems, they hold at risk our carrier battle groups. They hold our entire surface fleet at risk. They hold at risk our forward deployed land-based forces." Griffin explained that Beijing "has done 20 times as many of hypersonic weapons tests as has the United States over the last decade." Just yesterday, Sputnik reported on how Chinese researchers tested a reusable hypersonic spacecraft with an eye toward both civilian and military applications. If the US cannot give sailors and warfighters the "ability to defend" against a non-nuclear projectile flying faster than five times the speed of sound at surface ships and cannot supply them with "at least an equal response capability on the offensive side," the official stressed, then the US has "allowed a situation to exist where our deployed forces are held at risk." Putting US forces at risk leaves generals in a position where "our only response is either to let them have their way or to go nuclear," Griffin said. "That should be an unacceptable situation for the United States." "If our response is to let them win or go nuclear, that's a bad place to be," the official emphasized. 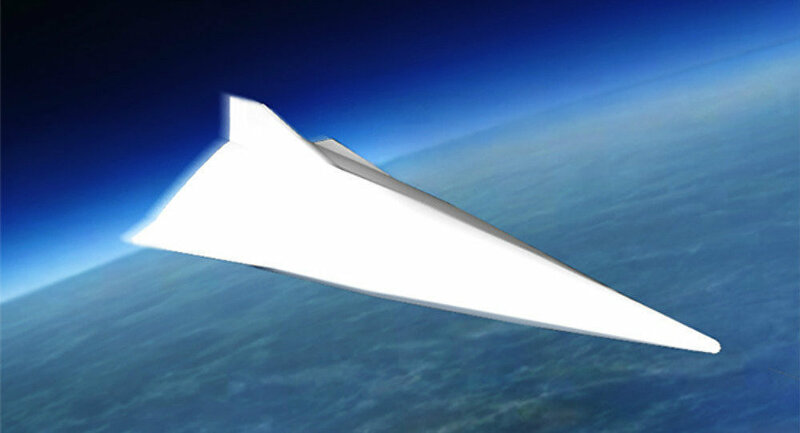 A hypersonic glide vehicle moves fast enough to travel to any point on the globe in less than three hours. As it relates to US defenses, the vehicle's flight altitude exposes a major vulnerability. "The advantage of hypersonic systems is, broadly speaking, irrespective of their range, that they underfly missile defense and they overfly air defense. That's a niche we haven't spent much time in recently and if I had to pick my highest technical priority, responding that that, both offensively and defensively, that would be my highest technical priority," Griffin stated.